I am delighted to share a recording of our recent performance of Wolfgang Gabriel’s setting of John Keats’ “Ode to a Nightingale” for soprano, flute and piano. This piece has become very dear to my heart and I hope you enjoy listening as much as we enjoyed performing! I’m very much looking forward to the world premiere of W. Gabriel’s setting of “Ode to a Nightingale” for soprano, flute and piano. I will also be performing his “Elegien im Herbst” and there will be other chamber music pieces and poetry readings. 14 Feb 2016, 19:30 “Der Haifisch” – AOV Kammerkonzert. Click here for concert poster! I’m delighted to announce that the latest Gabriel soprano premiere is available on youtube! Please have a look of these videos of the premiere performance from May 2014 of these wonderful songs – I absolutely loved singing these! 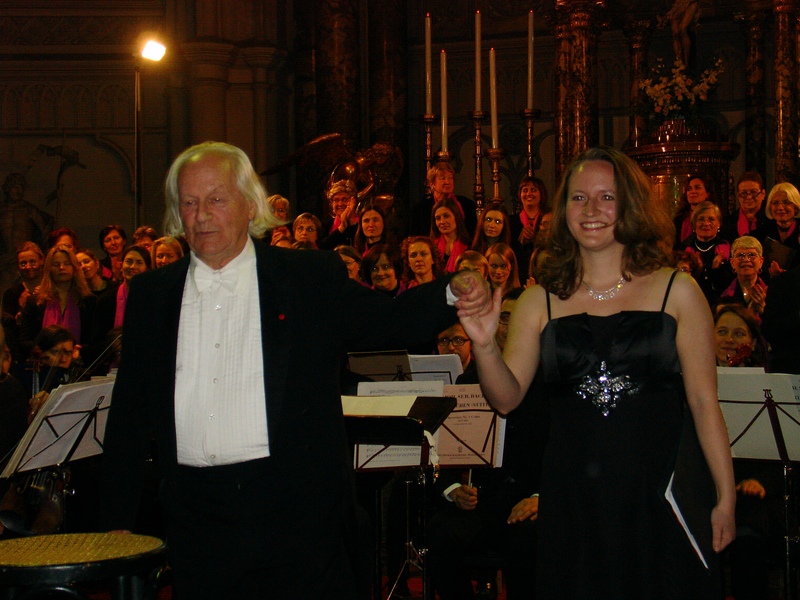 It was a huge pleasure and honour for me to be able to give the world premiere performance of my father’s new composition for soprano, mixed chorus and small orchestra – Wolfgang Gabriel’s “Magnificat”. The performance was a great success and there will hopefully be an HD-video recording of the performance ready to upload shortly. Watch this space! Meanwhile, German-speakers might like to read the Terz Magazin review here!